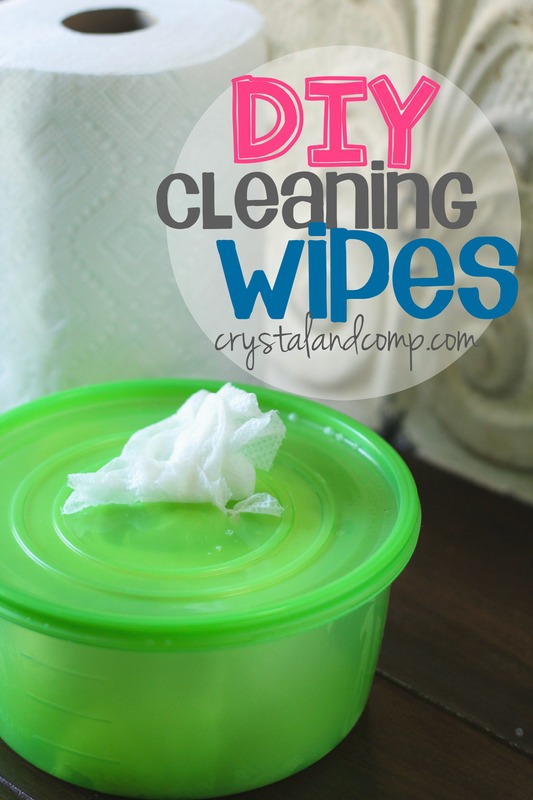 Do you have any idea how toxic most of the cleaning wipes on the market are? Read the back of the containers the next time you’re on the cleaning aisle. One bottle I read indicates that we should wash our hands for 20 minutes after using it. That is toxic! 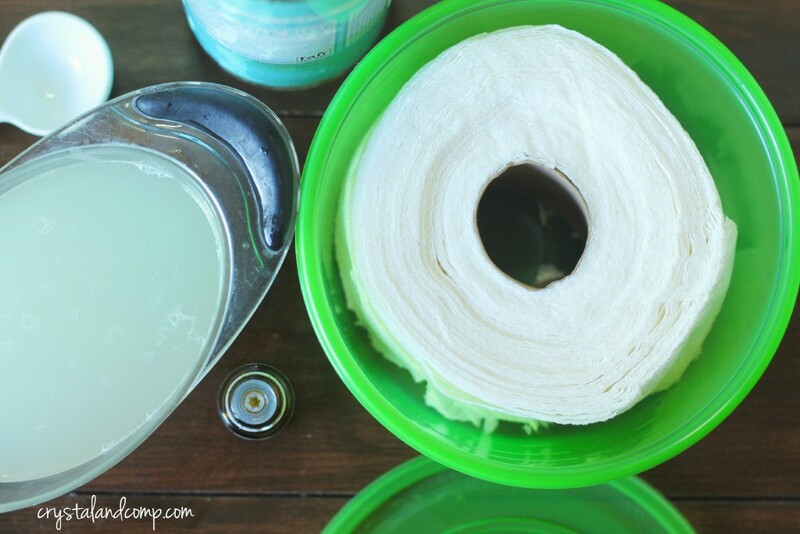 Let me show you how easy peasy it is to make your own DIY cleaning wipes for your kitchen and bathroom! These contain no harsh chemicals or additives. 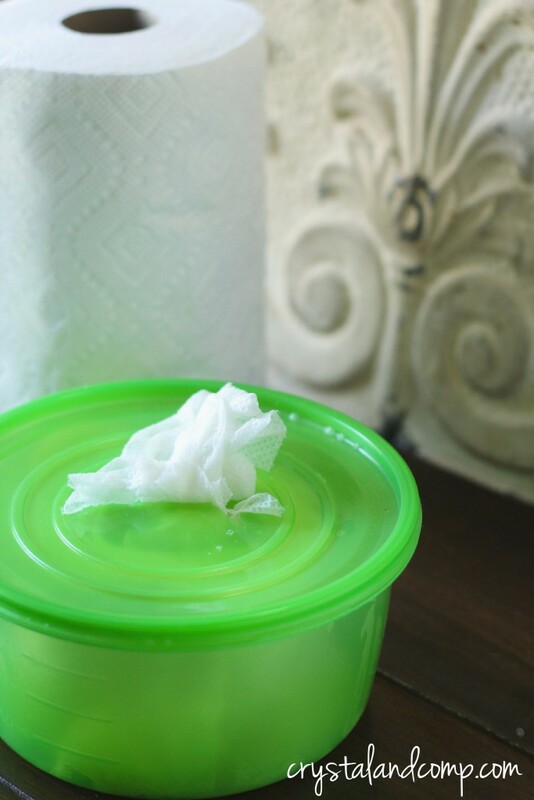 Use a knife to cut the paper towel roll to fit the size of the container you’re going to store these cleaning wipes in. Also use the knife to slice a slit into the center of the container lid. Place the roll into that container. In a bowl, or in your measuring cup, mix the warm water, the castile soap and the essential oil. Next pour the soap water mixture over the paper towel roll that is in the storage container. Once the roll is wet, you can pull out the cardboard tube in the middle. Now you can pull from the middle to get the roll started so you can pop the lid on container and feed the paper towel sheets through the lid. And tada, you now have homemade cleaning wipes that are not full of unnecessary chemicals and harsh ingredients. This took all of ten minutes to make. These can be used to clean in the kitchen, the bathrooms or anywhere in your house. The castile soap will gently clean, the tea tree oil is an AMAZING disinfectant and the Bounty paper towels are heavy duty. Speaking of…. did you know Bounty has been around for 50 years? FIFTY! I am in love with this video that is a trip down memory lane capturing the decades of Bounty, the long lasting quicker picker-upper. 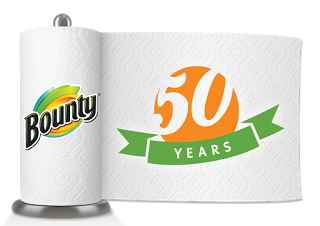 While a lot has changed in 50 years, Bounty’s strength and absorbency have helped it to remain America’s favorite paper towel. 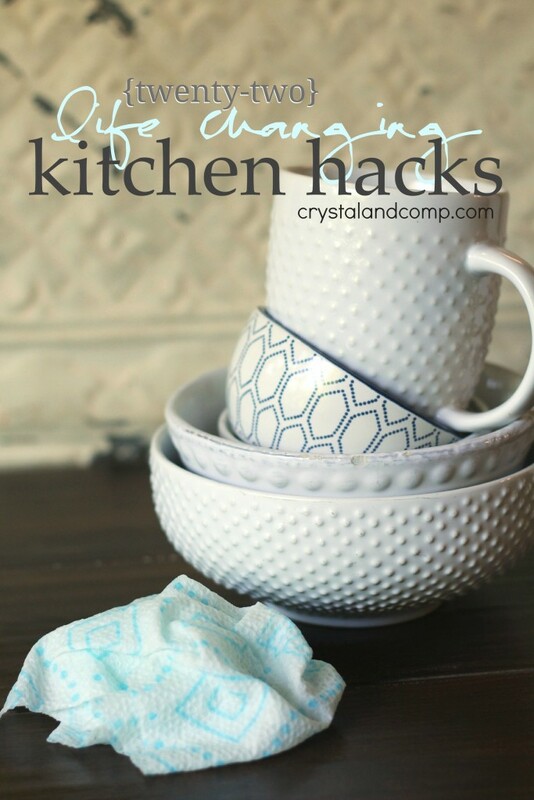 Looking for more cleaning hacks? Make sure you check out our list of 22 kitchen hacks that are totally life changing! 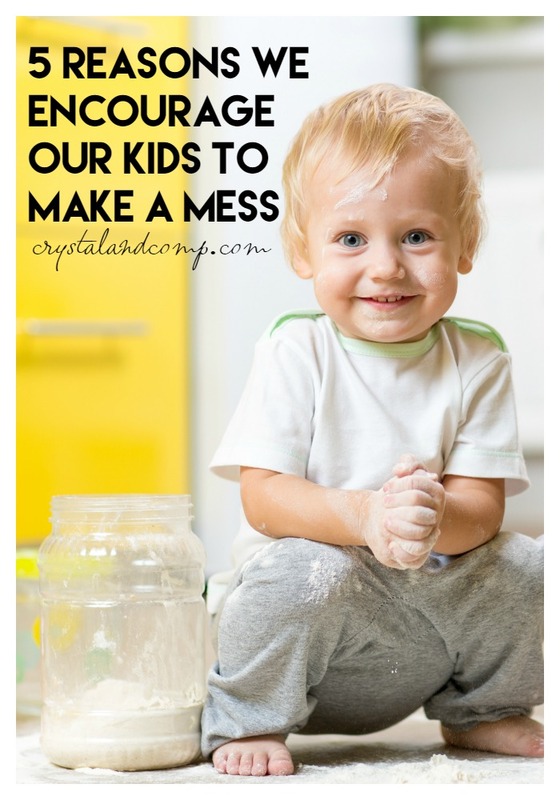 Do your kids make messes? This is what I am using on our floors…. wet or dry!